Olive Pit Extra Virgin Organic Olive Oil is Estate grown. These California Mission olives are hand harvested from a local orchard from historical trees, over a century old and pressed with Fresh Lemons. 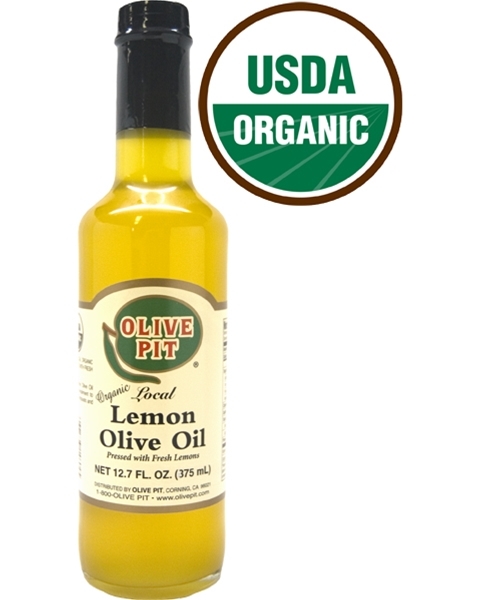 This lively and robust oil is buttery smooth, medium fruitiness with a peppery finish and is great used on fish, salads, pasta, bread and as a marinade.